Want more details? Subscribe to our Monthly Market Report. 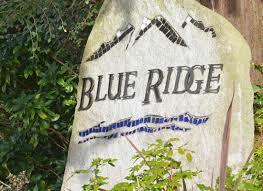 It's all about the current real estate market conditions in Blue Ridge, and it's FREE! Curious about your homes value? Contact us today for a custom comparative market analysis (CMA) to help determine the valuation of your home. The total home inventory is simply the number of homes currently available for purchase in a given market area. Typically, as the number of available homes goes down, price goes up due to the law of supply and demand. However, this increase can be limited by the income of prospective buyers as well. The chart below shows a 12 month average of active homes for sale in Blue Ridge. Get your FREE Home Value Report and see what homes have sold for, and what current listings are selling for in your area. You will get an updated report every two weeks so you can stay on top of what the housing market is doing in Blue Ridge.